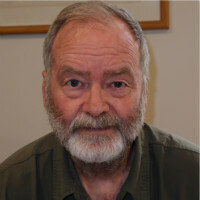 Ted Davis trained in economics in the 1970s. He subsequently trained in yoga and traditional Chinese medicine in the 1980s and 1990s, taught anatomy, physiology and neurology at undergraduate university level in the 1990s, taught acupuncture at two private colleges in the 1990s, and has been in part or full time TCM practice since 1989. Ted holds an advanced diploma of acupuncture, a master of applied science, and a doctor of philosophy from Medicina Alternativa. When determining what precisely it was that the authors of the Lingshu were intending to convey, it is productive to think about the way the Lingshu has been named, organised and presented, as well as dealing with its overt contents. Certainly the conceptual framework of Heaven, Earth and Man [HEM] can be shown to be highly influential in providing an understanding of its organisational structure. Indeed, the parameters created by HEM provide the key orientating referent when it comes to understanding its construction. It is also worthwhile to divide the Lingshu’s chapters into two broad categories, Interlocutory and non-Interlocutory, with the Interlocutory chapters being further considered in terms of Questioner and Respondent. As well, the meaning of the names given to the participating interlocutors contributes considerable enlightening perspective. They have almost certainly been chosen with great care. All of which contributes to a deeper appreciation of the general pedagogic intention and impetus of the work. It is clear that a great deal of thought and planning has been invested in the way the whole work has been shaped. Throughout, there is much complex interplay (almost entirely understated, often unstated), between organisational structure and the content presented, which serves to make the final work inherently interconnected. To suggest these aspects were no doubt intended to provide mutual support is surely true, but this characterisation is not sufficient. Their combined contribution makes the Lingshu a highly integrated and sophisticated document in a number of respects – philosophical as well as medical.